Dr. Mark Wilder is Dean and KPMG Chairholder in the Patterson School of Accountancy at The University of Mississippi. His educational background includes an associates degree from Tyler (TX) Junior College, a bachelors degree from The University of Alabama, an MBA from the University of South Alabama, and a PhD in Accounting from Florida State University. Dr. Wilder is a CPA and has been on the faculty at Ole Miss since 1993, serving as dean since 2006. His expertise is in financial accounting and he continues to teach the two intermediate courses as well as a doctoral seminar in financial accounting. He has published in a variety of journals including Accounting Horizons, Advances in Taxation, the Journal of International Accounting Research, the Journal of Applied Corporate Finance, the Journal of Computer and Information Systems, the CPA Journal, and others. Dr. Wilder has been instrumental in the development of the School of Accountancy’s highly successful internship program. 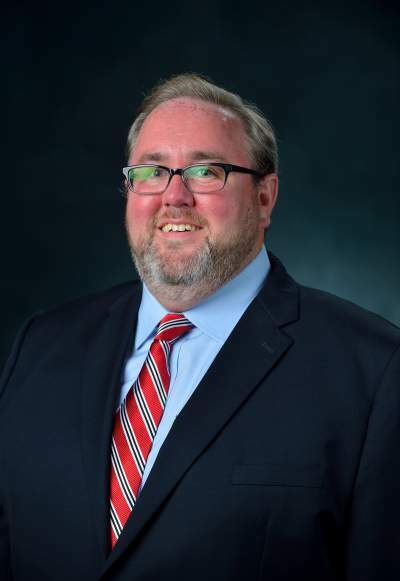 He has also been active in the Mississippi Society of CPAs, previously serving as president of the Northeast Chapter, as state-wide Treasurer, an appointment on the Board of Governors, and as chair of the Awards, Education, and Scholarships Committee. 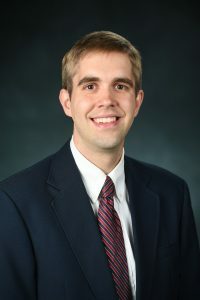 Dr. Wilder has received the top two campus-wide faculty awards at Ole Miss including (i) the prestigious Elsie M. Hood Outstanding Teacher Award in 2005, and (ii) the Faculty Achievement Award in 2004 which is an all-around faculty award recognizing outstanding teaching, research, and service. In 2006, Mark was honored as the MSCPA Outstanding Educator and was also the University of Mississippi HEADWAE Faculty Honoree for 2006. He is also a two-time winner of both of the Patterson School’s top faculty awards (the Outstanding Teacher Award and the Outstanding Researcher Award). On a personal note, Mark was an All-American and ALL-SEC tennis performer at the collegiate level and attained an ATP World Ranking of #298 in 1987. He and his father Red were inducted into the Alabama Tennis Hall of Fame together in 2004. Mark is married to the former Denise (Dede) English of Pensacola, Florida. They have sons Zach and Sam. Kendall Bowlin, PhD, joined the School of Accountancy faculty in 2008 after earning his PhD at The University of Texas at Austin. Prior to his doctoral studies, Kendall received a Bachelor of Business Administration from the Ole Miss School of Business and a Master of Accountancy from the Ole Miss School of Accountancy in 1998 and 1999, respectively, and then spent four years as an auditor in Ernst & Young’s Memphis, TN office. Kendall’s primary teaching and research interests are in the field of auditing. His research focuses on the strategic aspects of interactions between auditors and client managers. He is particularly interested in the ways in which institutional features of the audit environment affect the auditor’s ability to anticipate and respond to the manager’s possible tendencies toward financial misreporting. Kendall and his wife, Lisbeth, have two children, Mary Kennedy and Charlie. Brett Cantrell, PhD, CPA, is an assistant professor of accounting at the Patterson School of Accountancy at The University of Mississippi. Brett received his PhD in accounting from the University of Texas at Austin. Prior to his doctoral studies, Brett earned a Bachelor of Arts in Mathematics from the College of Liberal Arts and a Bachelor and Master of Accountancy from the Patterson School of Accountancy at the University of Mississippi and served in the audit practice of KPMG’s Birmingham, AL office. Brett’s research interests relate to financial accounting issues especially those unique to banks. He also examines the role that firm and industry life cycle play in firm performance. His work has been published in The Accounting Review, the Journal of Banking and Finance, and Management Science. He is a recipient of the Outstanding Researcher of the Year award in the Patterson School. Brett serves as the Faculty Advisor for the Ole Miss chapter of the National Association of Black Accountants (NABA). In 2016 he was awarded the Thomas F. Frist Student Service Award from the University of Mississippi. He is a certified public accountant in the state of Mississippi, and is a member of the American Accounting Association. Dr. Judith Cassidy, CPA, CMA is an associate professor of accountancy. She holds a BA in Economics from Tulane and attended Tulane University School of Public Health. 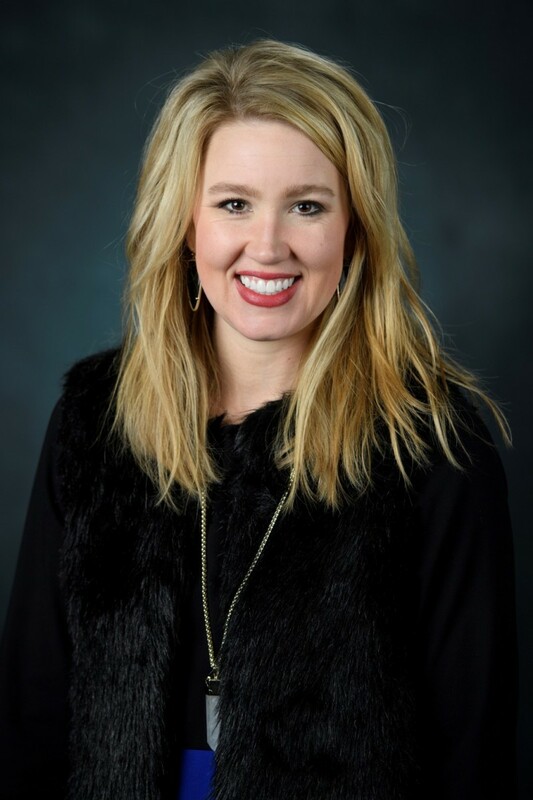 She worked in medical practice management for twelve years and then returned to school to earn an MBA from the University of Texas at Arlington, and a Ph.D. from Texas Tech University. She is a member of the Institute of Management Accountants, the Mississippi State Society of CPA’s and Financial Executives International. She has published in Advances in Accounting, The Journal of Applied Business Research, The Woman CPA, The Journal of Cost Management, and Benefits Quarterly. Dr. Cassidy teaches and researches in the areas of cost/managerial accounting and international accounting and co-ordinates the School of Accountancy’s study abroad program in London each summer. Dr. Christine Cheng, PhD, is an assistant professor of accounting at the Patterson School of Accountancy at the University of Mississippi. Christine earned her PhD in accounting from the Pennsylvania State University in 2011. Her M.B.A. is from the Pennsylvania State University – Capital College and her B.S.B.A. in finance and B.S. in biology are from Shippensburg University, Pennsylvania. Christine’s research examines the effect of taxes on individual decision making, corporate taxation, and firm bankruptcy. 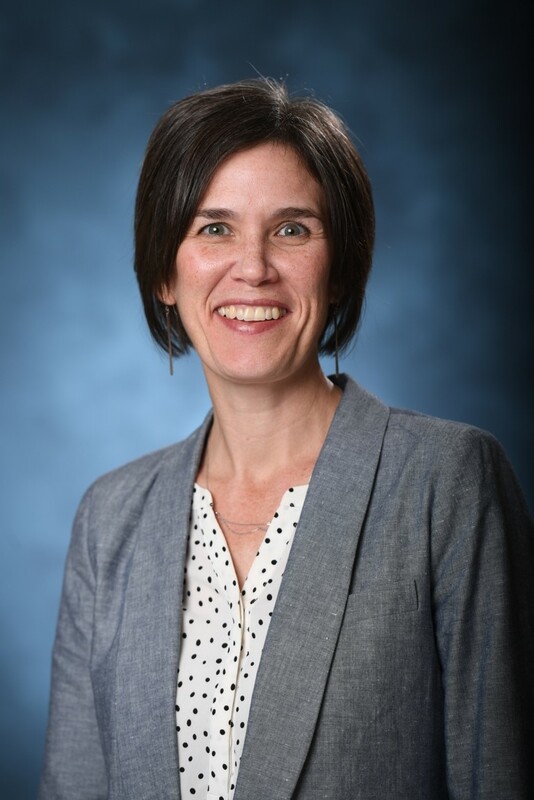 Her work has been published in The Journal of Business Finance and Accounting, Issues in Accounting Education, The Journal of Accounting Education, Tax Notes, and Forbes. 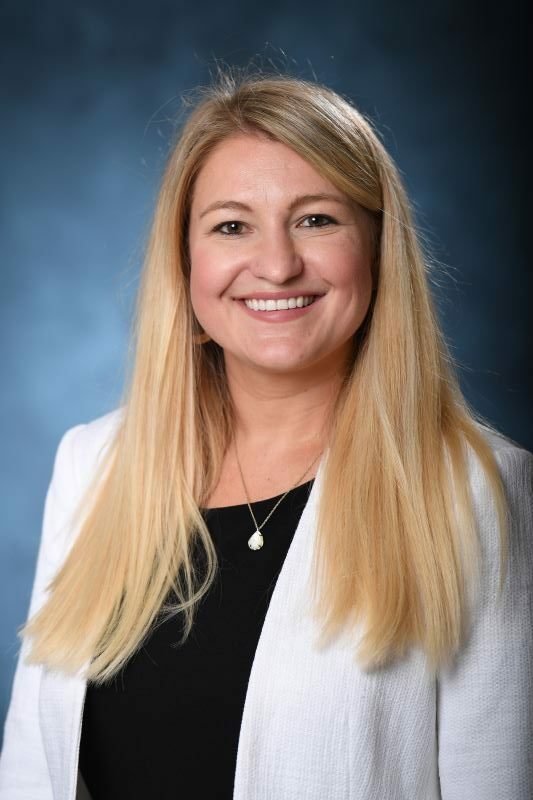 Christine was the recipient of the 2015 Outstanding Teacher Award, a 2011 KPMG Research Recognition Award, and a PWC Inquires Grant in 2011 while on the faculty at Louisiana State University. Christine is also a member of Shippensburg’s Athletic Hall of Fame, for her accomplishments as a member of the swim team, and a recipient of a 2016 Young Outstanding Alumnus award from Shippensburg University. Christine was a consultant in the Long Term Care Industry first for KPMG in Harrisburg, PA, and then for Padden Guerrini & Associates, P.C., Camp Hill, PA. 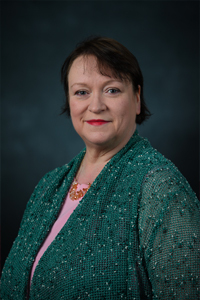 Prior to that, she worked first as a medical malpractice underwriter and then as a staff accountant at PHICO in Mechanicsburg, PA.
Dr. James W. Davis is a professor in the Patterson School of Accountancy and holds the distinguished Peery Chair in Accountancy. He served as dean of the school from 1993 until 2002, and has been a member of the accountancy faculty since 1965. Dr. Davis is a native of Panola County, Mississippi, and attended public schools at Pleasant Grove and Sardis. He holds bachelor’s, master’s, and doctoral degrees from Ole Miss, all with majors in accountancy. He is a Certified Public Accountant (retired) and has experience in industry and in the Houston office of Arthur Andersen. He served as president of the Mississippi Society of Certified Public Accountants in 1983-1984.Previously he had served as the Society’s secretary, chair of several committees and as a member of the Board of Governors. As the unofficial historian for the Society, he authored a history of accountancy in Mississippi in 1977, based upon his doctoral dissertation. Former students and friends of Dr. Davis have established The James W. Davis Scholarship in Accountancy at The University of Mississippi Foundation. The endowment of approximately $600,000 provides $3,000 scholarships annually for several accountancy students and is administered by the Dean of the Patterson School of Accountancy. Dr. Davis received the University-wide Outstanding Teacher Award in 1985 and received the Patterson School’s outstanding teacher awards in 1983, 1988, 1993, 2004 and 2008. He received the Mississippi Society’s Outstanding Educator Award in 1993. He is a trustee of the Mississippi Society’s Educational Foundation. He holds memberships in Omicron Delta Kappa, Phi Kappa Phi, Beta Gamma Sigma, and Beta Alpha Psi. He is a member of St. Peter’s Episcopal Church in Oxford. Dr. Davis enjoys travel, reading, and collecting books and has a complete collection of Ole Miss Annuals. 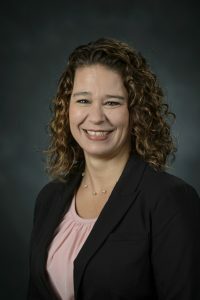 Victoria Dickinson, PhD, CPA, is an associate professor of accounting at the Patterson School of Accountancy at the University of Mississippi. Vicki received her PhD in accounting from the University of Wisconsin – Madison. Her B.S. and M.S. in accounting are from St. Cloud State University, Minnesota. Vicki’s research examines the effect of industrial organization on firm performance and valuation through the lens of financial statement analysis. Her work has been published in The Accounting Review, Review of Accounting Studies, Management Science (forthcoming), Accounting Horizons, Journal of Business Finance and Accounting, Advances in Accounting and Issues in Accounting Education. 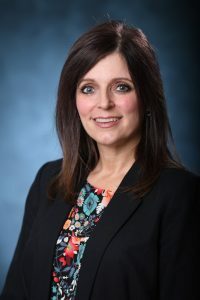 Vicki is a recipient of the Outstanding Teacher of the Year and the Outstanding Researcher of the Year awards from the University of Mississippi. 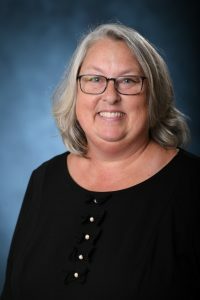 She also received the J. Michael Cook Excellence in Teaching, the Warrington College of Business Teacher of the Year, the Judy Fisher Teaching with Technology, and Anderson Scholar Faculty Honoree awards while on the faculty at the University of Florida. Vicki is a certified public accountant in the states of Mississippi and Minnesota. She worked in assurance and advisory for CBIZ/Mayer Hoffman McCann (Minneapolis, MN), as a Sr. Financial Analyst (International Banking) at Wells Fargo (Minneapolis, MN) and as a Risk Analyst at Lockheed Martin (Calabasas, CA). 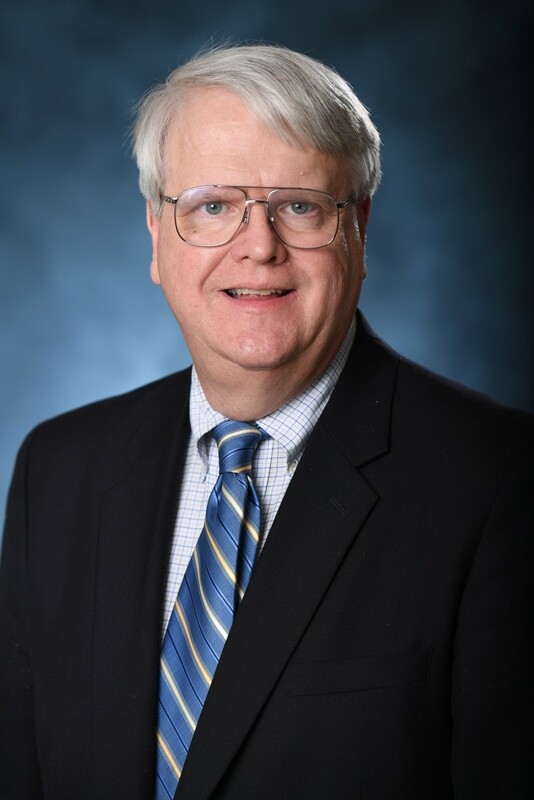 Dr. Rick Elam is the Reynolds Chair of Accountancy Emeritus in the Patterson School of Accountancy at The University of Mississippi where he taught elementary accounting for honors students, accounting systems, policy and ethics for graduate students. He was honored by the Mississippi Society of CPAs with their 2011 Outstanding Educator Award. Dr. Elam continues to serve as a member of the Mississippi State Board of Public Accountancy where he was first appointed in 2004. 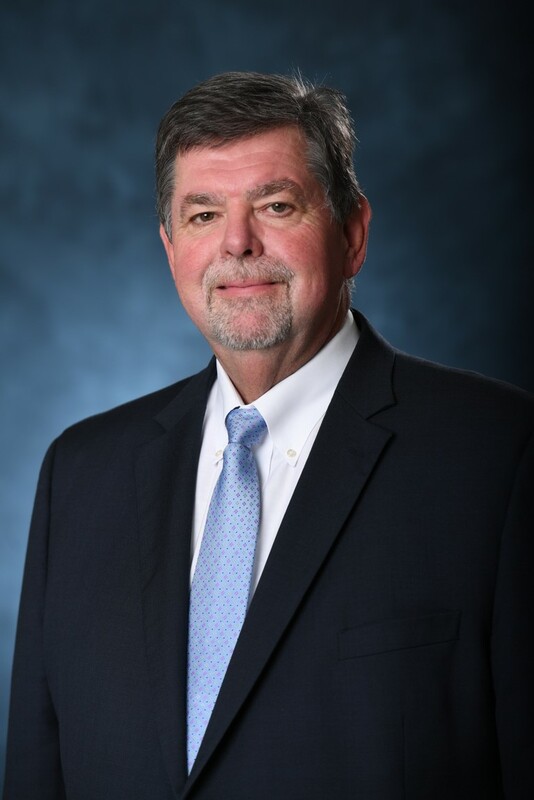 Before moving to Ole Miss, Dr. Elam, a nationally known authority on accounting education, served as Dean of the College of Business at Middle Tennessee State University, one of the largest accredited business schools with 3,000 majors and 111 faculty. From 1989-95, Dr. Elam served as Vice-President-Education of the American Institute of Certified Public Accountants (AICPA) where he managed three divisions: The Examinations Division prepares the Uniform CPA Examination, which was administered semiannually to 65,000 candidates; the Academic and Career Development Division, which influences the academic community and the public to attract highly qualified people into the accounting profession and ensure they receive the highest quality pre-certification education; and the AICPA Library, which serves the information and research needs of the Institute’s 325,000 members. 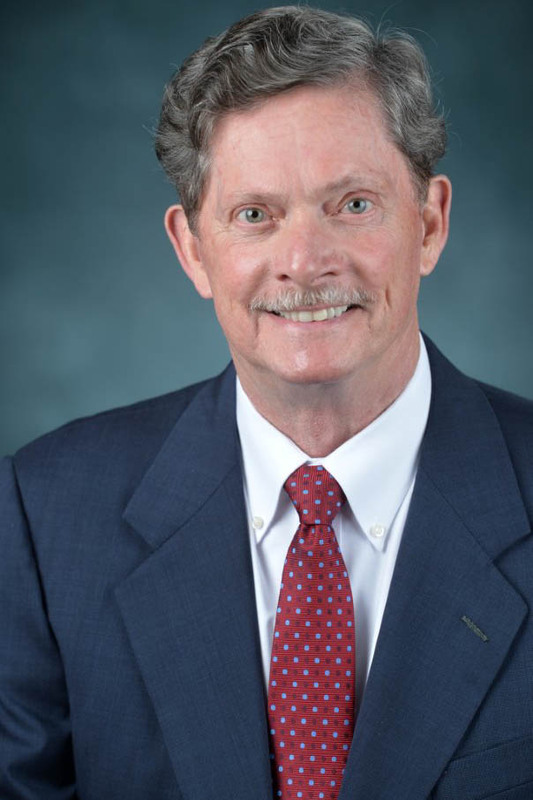 Prior to joining the AICPA in 1989, Dr. Elam was Dean of the School of Business at Rutgers University (Camden). Previously, he was Professor and Director of the School of Accountancy at the University of Missouri at Columbia. He has written numerous professional articles and participated as a speaker at many national and international educators’ conferences. He is conducting research on the topic of Extensible Business Reporting Language. Dr. Elam serves on the Mississippi State Board of Public Accountancy. He holds a B.S. degree in business administration and economics from Culver-Stockton College and M.A. and Ph.D. degrees in accountancy from the University of Missouri at Columbia. Dr. Elam is married to Dr. Karen J. Elam. They have two adult children. 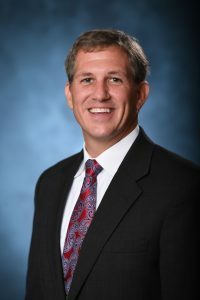 Dr. Dale L. Flesher is professor and Holder of the Roland and Sheryl Burns Chair in the School of Accountancy at The University of Mississippi, and serves as associate dean of the School of Accountancy. He is the coordinator of all graduate programs in Accountancy at Ole Miss. Dr. Flesher joined the Ole Miss faculty in 1977, following four years at Appalachian State University. He received both bachelors and masters degrees from Ball State University in Muncie, Indiana. He holds a Ph.D. in accounting from the University of Cincinnati. Dr. Flesher holds CPA, CIA, CMA, CFM, CFE, and CGFM certificates. He has authored over 300 articles for more than 100 different professional journals throughout the world, including The Accounting Review, Journal of Accountancy, Management Accounting, Internal Auditing, Internal Auditor, The CPA Journal, Government Accountants Journal, Managerial Auditing Journal, Taxation for Accountants, TAXES, The Accounting Historians Journal, Accounting and Business Research, Accounting, Business and Financial History, Business and Economic History, and Accounting, Organizations and Society. He is also the author of 50 books in 87 editions, including Operations Auditing in Hospitals, Internal Auditing Standards and Practices, Independent Auditors Guide to Operational Auditing, Introduction to Financial Accounting, CMA Examination Review (with Irv Gleim), and the 50th anniversary history of The Institute of Internal Auditors and the 75th anniversary history of the American Accounting Association. He also authored books on the history of AACSB and NASBA. He has had five tax books published by Commerce Clearing House. One of his recent books was a history of the accountancy program at Ole Miss. Dr. Tonya K. Flesher is a professor of accountancy and Arthur Andersen Lecturer at The University of Mississippi. In 2003 she was presented with the Elsie M. Hood Outstanding Teacher Award, the University-wide teaching award and was the University of Mississippi HEADWAE Faculty Honoree. She was selected as the 1995 Outstanding Educator of the Year by the Mississippi Society of CPAs. She was the 1986 recipient of the University of Mississippi’s Burlington Northern Faculty Achievement Award as an outstanding faculty member campus wide. In previous years she has won both the School of Accountancy’s Outstanding Teacher Award and the Outstanding Researcher Award. Dr. Flesher served as dean of the School of Accountancy at The University of Mississippi from 1987 to 1993. She was the first woman to hold an academic deanship in the 150-year history of the University. In addition to her faculty duties, she also serves as the director of the Tax History Research Center, which is jointly sponsored by the University and the Academy of Accounting Historians. She is a CPA. Her undergraduate degree is from Ball State University, her masters from Appalachian State University, and her Ph.D. in accounting from The University of Mississippi. She has authored eight books and over 100 articles. Before she became dean, she was the editor of the most widely-used tax textbook in the country. Currently, Dr. Flesher is a contributing author to Concepts in Federal Taxation. She has published in such journals as the Journal of Accountancy, The Accounting Review, The CPA Journal, Advances in Taxation, Taxation for Accountants, The Tax Adviser, Accounting, Organizations and Society, Accounting and Business Research, TAXES– The Tax Magazine, American Taxation Association Journal of Legal Tax Research, Accounting Historians Journal, Issues in Accounting Education, Accounting History, and Management Accounting. 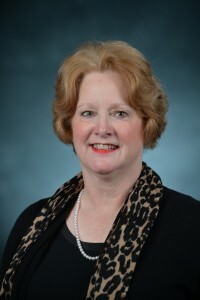 Dr. Flesher is an active member of several professional organizations including the American Institute of CPAs, the American Accounting Association, the American Taxation Association, the Mississippi Society of CPAs, and the Academy of Accounting Historians, the latter organization of which she served as international president in 1993. Tonya has previously had a regular column entitled “Computers in Tax” which appeared quarterly in The Tax Adviser. She has served as the Education Department editor of The Woman CPA. Dr. Flesher was a member of the AICPA Minority Initiatives Committee. For eight years, she served on AICPA committees that were responsible for the CPA Examination, including a term as chair of the Regulations Committee, and as a member of the Content Committee. She has also been a member of the AICPA Pre-Certification Education Executive Committee. The AICPA awarded her the Sustained Contribution Award in 2012. Dr. Howard Lawrence, CPA, CMA is a Clinical Professor of Accountancy. He holds a Ph.D. from The University of Mississippi, a MBA from Memphis State University, and a Bachelor of Science in Mechanical Engineering from Christian Brothers College. Dr. Lawrence has worked in the steel industry as a plant engineer and the paper industry as a design engineer. Dr. Lawrence has held a number of administrative positions including Vice President for Academic Affairs at the State Technical Institute at Memphis and President of the Nashville State Technical Institute. He comes to the Patterson School from Christian Brothers where he was Professor of Accounting. Dr. Duffy A. Morf is a Clinical Assistant Professor in the Patterson School of Accountancy at The University of Mississippi. He teaches a variety of accounting courses at the Tupelo and Southaven campuses. Dr. Morf earned his undergraduate degree from Northern Illinois University, an M.B.A. from San Francisco State University, and a Ph.D. from The University of Mississippi. He is a C.P.A. in the state of Illinois. Dr. Morf has had an active role in industry for over twenty-five years. Starting his business career with Ernst & Young in Chicago, he then served as a controller, treasurer, chief financial officer, and president of various companies located in Chicago, San Francisco, and Denver. Dr. Morf has published an article about Ethics Officers in the Journal of Business Ethics, and articles in the Tennessee CPA Journal and the OSCPA Wire. Prior to joining the Ole Miss faculty in 2000, Dr. Morf spent a year on the faculty of Lander University in South Carolina. Dr. Morf is a member of the American Accounting Association, Academy of Accounting Historians and the American Institute of Certified Public Accountants. 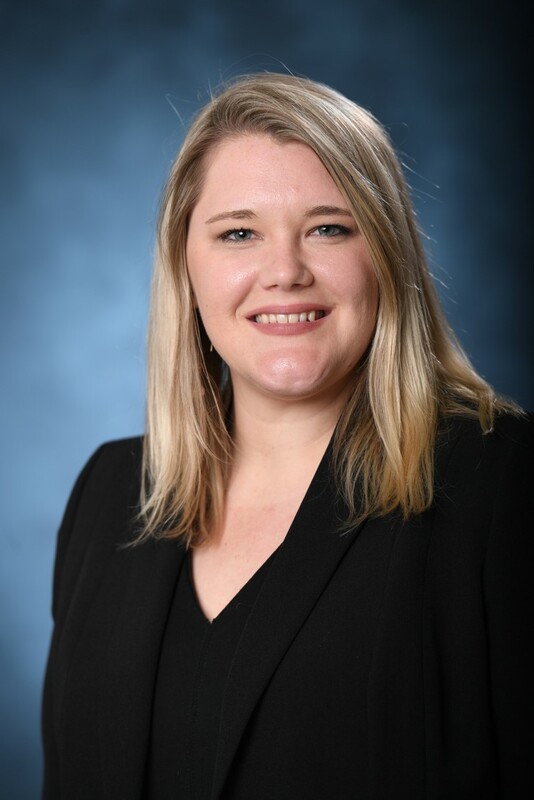 Cheryl Metrejean, Ph.D., CPA, CFE is a Clinical Associate Professor in the Patterson School of Accountancy at the University of Mississippi. She received a BA from the University of Louisiana at Lafayette and a Masters of Accounting with an emphasis in Taxation from UNC-Chapel Hill before entering the tax practice at Ernst & Young in Houston, TX. After leaving public accounting, Dr. Metrejean earned her PhD from Texas A&M University in 1997. She has previously taught at the University of Mississippi, the University of Texas at Austin, Texas State University, and Georgia Southern University. Dr. Metrejean’s primary research interest is in the area of taxation. She has previously published in the Journal of Accountancy, Journal of Legal Studies in Business, Practical Tax Strategies, Journal of Forensic and Investigative Accounting, and the Tax Adviser. Cheryl is a CPA in Mississippi and a Certified Fraud Examiner (CFE). 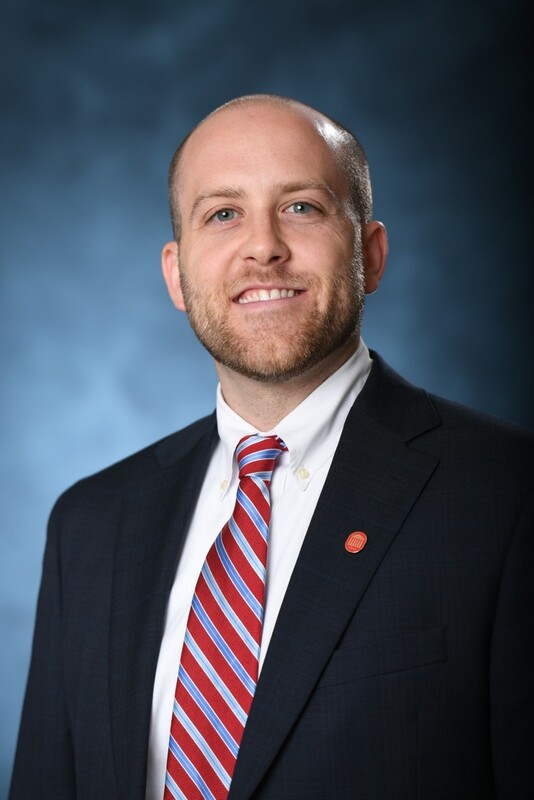 Eddie Metrejean, Ph.D, CPA, CFE, is a Clinical Associate Professor of Accountancy in the Patterson School of Accountancy at the University of Mississippi. 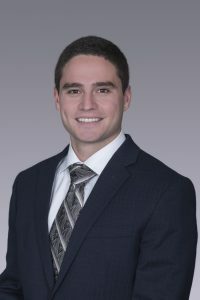 After completing his bachelor’s degree in Accounting from the University of Louisiana at Lafayette, Dr. Metrejean worked for a large regional public accounting firm as an auditor. After leaving public accounting, he worked as a corporate controller for a group of small companies. Dr. Metrejean received a Master of Taxation degree in 1997 and a Ph.D. in Accounting in 2004, both from the University of Mississippi. Dr. Metrejean has published a variety of articles in accounting, taxation, and business journals. His research interests are primarily in auditing, accounting information systems and ERP systems, and accounting education and curriculum. His teaching interests are auditing and accounting information systems. Dr. Metrejean is a CPA in the state of Louisiana. He is a member of the American Accounting Association, the American Institute of CPAs, and the Association of Certified Fraud Examiners. Dr. Dave L. Nichols is Associate Professor and Horne LLP Lecturer in the Patterson School of Accountancy at The University of Mississippi. He earned his Ph.D. in Accounting at Oklahoma State University. His research interests include, in addition to Title VII employment issues, accounting certification issues and the usefulness of geographic segment reporting. Professor Nichols’ articles have appeared in or have been accepted in the Southern Law Journal, Journal of International Accounting, Auditing and Taxation, Journal of Computer Information Systems, Industrial Management, International Financial Management Journal, Critical Perspectives on Accounting, Journal of Corporate Accounting & Finance, Human Resource Planning, Petroleum Accounting and Financial Management Journal, Journal of Individual Employment Rights, and the Journal of Contemporary Business Issues. Jeffrey Pickerd, PhD, CPA joined the School of Accountancy faculty in 2016 after earning his PhD at The University of Massachusetts at Amherst. Prior to his doctoral studies, Jeffrey received a Bachelor of Science in Accounting from Brigham Young University in 2011 and a Master of Accountancy also from the Brigham Young University in 2011. He has taught courses in financial accounting, managerial accounting, and accounting information systems. His research focuses on a variety of financial and auditing research topics. In particular, his research has focused on auditor liability and investor judgment and decision-making. Dr. Rachna Prakash is an Assistant Professor on the faculty at the Patterson School of Accountancy. She received her Ph.D. from Goizueta Business School, Emory University, in 2007. Prior to that, she earned her MS in Accounting from the Massachusetts Institute of Technology and MBA from the University of Rochester. Rachna is also a Chartered Accountant from India. Rachna’s research examines capital market impact of firms’ disclosure choices and accounting policy. Her research has been published in The Accounting Review, Contemporary Accounting Research, and Journal of Accounting and Public Policy. Her recent research on carbon emissions has been widely cited in the business press and referred to by investment banks. In addition to being a regular speaker at major accounting conferences, she has a track record of invited presentations of her research work at the SEC, the PCAOB and at POMS (Operation Management meeting). Rachna has teaching experience at both graduate and undergraduate level. Previously she served on the faculty at the Mason School of Business in the College of William and Mary and visiting faculty at Georgetown University, among others. In 2010, she was nominated for the “Ernst & Young Inclusive Excellence Award” for teaching. In addition to her academic experience, she has extensive international corporate experience having worked for KPMG in Delhi, Citibank in Mumbai, and Salomon Smith Barney in New York. Dr. Rhodes received his B.S. in Mathematics with a minor in English from Delta State University in 1974. He received an MBA degree with an emphasis in accounting from The University of Mississippi in 1976 and a Doctor of Jurisprudence degree from The University of Mississippi in 1982. He is a member of the Oxford Kiwanis Club, the Oxford-University United Methodist Church, the Mississippi State Bar, the AICPA, the Northeast Chapter of the Mississippi Society of CPAs, and the Mississippi Society of CPAs. Dr. J Shaw earned his Ph.D. in accounting from Oklahoma State University in July 2002. His primary research interests are in the areas of capital markets and financial reporting. He is also interested in tax issues and specifically the tax aspects of aircraft ownership. He has articles published in Advances in Taxation, The Journal of Legal Tax Research, The Journal of International Accounting Research, Taxes-The Tax Magazine, Managerial Finance, and The International Journal of Accounting Literature. Dr. Shaw was selected as the Outstanding Researcher in the Patterson School of Accountancy for 2004-2005. Dr. Shaw has taught nine courses at The University of Mississippi. He has taught Principles of Accounting I and II, Intermediate Accounting I and II, Federal Income Taxes I and II, Governmental Accounting, and a Ph.D. seminar in Financial Accounting and Capital Markets. He has also taught a study abroad course in London since 2008. He was selected by accountancy students as the Patterson School of Accountancy Outstanding Teacher for the academic years 2005-2006 and 2009-2010. Dr. Shaw is the Faculty Advisor for Beta Alpha Psi and the Deloitte Tax Case Competition Team. He serves on the University’s Undergraduate Council, and has previously served on Faculty Senate. He has served on a University-wide Quality Enhancement Plan development committee. He is the former Editor of the newsletter for the Teaching, Learning, and Curriculum Section of the American Accounting Association and is also the former Chair of the Committee on Teaching and Curriculum for the International Accounting Section of the American Accounting Association. He has presented topics covering the tax aspects of aircraft ownership at the Patterson School of Accountancy’s Accountancy Weekend and the Mississippi Tax Institute. Prior to his doctoral program, Dr. Shaw was Manager of Federal Income Taxes in the Tax Department of Wal-Mart Stores, Inc. located in Bentonville, Arkansas, and he began his accounting career in the Tax Department of the Tulsa office of Arthur Andersen & Co. Dr. Shaw holds a B.S. in Business Administration and a M.S. in Accounting, both from Oklahoma State University. Dr. Morris H. Stocks received his undergraduate degree in accounting from Trevecca Nazarene University, his Masters degree from Middle Tennessee State University and his Ph.D. from the University of South Carolina. He is a Certified Public Accountant. Dr. Stocks has been at The University of Mississippi since 1991 and teaches financial accounting. He also serves as Provost and Vice Chancellor for Academic Affairs. He is the 1998 recipient of the University’s most prized teaching honor, the Elsie M. Hood Outstanding Teacher Award. 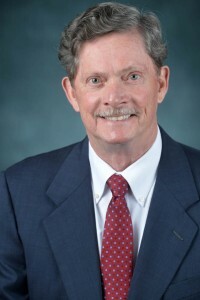 Dr. Stocks has published in many of his profession’s top journals, including Accounting, Organizations and Society; Accounting Horizons; Behavioral Research in Accounting; Decision Sciences; Advances in Accounting; Issues in Accounting Education; Advances in Accounting Information Systems; Advances in Behavioral Accounting Research; Accounting, Auditing and Accountability Journal and Advances in Taxation. He has also published in several professional journals, including The Journal of Accountancy, Today’s CPA, The Ohio CPA and Management Accounting Quarterly. He is a member of the American Accounting Association, The American Institute of CPAs, The Decision Sciences Institute, as well as several academic honorary societies. Dr. Wang received his Ph.D. in Business Administration from The University of South Carolina in 2003. His education also includes a BA and an MA from Fudan University and an MACC from USC. He was a Ph.D. candidate in philosophy, and spent three years working in public accounting (auditing) before switching back to being an academic in the latter field. His research covers auditing and accounting regulation, focusing on behavioral and cross-cultural issues in accounting and business communication. He is particularly interested in philosophical and epistemological issues in accounting and auditing. His empirical research uses experimental economics and other experimental and non-experimental methods. He has published in leading academic journals such as Philosophical Trends, Accounting, Organizations and Society, and Behavioral Research in Accounting. He has taught courses in accounting, auditing, philosophy, and logic. Dr. Wang loves classical music, reading, and traveling around the world. He is a CPA registered in the state of South Carolina. Zach Webb, PhD, CPA, is a Clinical Assistant Professor at the Patterson School of Accountancy at The University of Mississippi. Zach received his Ph.D. in accounting from the University of Arkansas. He has a Masters of Accountancy and Masters of Business Administration both from The University of Mississippi. His Bachelor of Business Administration in accounting is from the College of William and Mary. Zach’s research interests include auditing and governmental/non-profit accounting. His work has been published in Accounting Horizons, ATA’s Journal of Legal Tax Research, and CPA Journal. Zach is a Certified Public Accountant in Mississippi. Prior to his doctoral studies, Zach served in both the audit and Total State Tax Solutions practice of Deloitte. Mitch Wenger is an Assistant Professor in the Patterson School of Accountancy at The University of Mississippi. Mitch earned his B.S. in Accountancy from the University of Illinois, his MBA from the University of Texas at Arlington, and his Ph.D. from Virginia Commonwealth University. Mitch is a CPA in the state of Texas and brings twenty-plus years of practice and industry experience to the classroom. He was a manager with Arthur Andersen/Andersen Consulting in Dallas and Charlotte before managing enterprise software projects in the retail industry and managing the logistics practice at a startup consulting firm. Later, he managed a services practice, advised on potential acquisitions, and developed new product prototypes for Hyperion Solutions, a financial analytics software company (now part of Oracle Corporation). Mitch’s primary research interests are in the area of accounting systems: their impact on relationships within organizations and the ways in which they facilitate changes in internal measures of success. He is an active member of the American Accounting Association, the AICPA, ISACA, and the Association for Information Systems. Lou Burney, who graduated from the University of Mississippi with an accounting degree in 1979, realized a lifelong dream in 2014 when she became a full-time accounting instructor at her alma mater. Now, she teaches and mentors students at UM’s Patterson School of Accountancy who will become tomorrow’s accounting professionals. It’s highly rewarding work, she said. Burney, a native of Ackerman, went into accounting after receiving her bachelors degree at Ole Miss. She is a certified public accountant. Early in her career, she worked for the firms Arthur Andersen and KPMG before being hired as a controller at Millsaps College. She worked there for 28 years, earned a master’s degree and rose to chief financial officer for the college. She was thrilled when she was hired at UM as a full-time instructor in the fall of 2014. She and her husband, John Tyner, who is a salesman for a Madison-based casket company, are in the process of moving their home to Oxford. They spend a lot of their time away from work camping and enjoying the outdoors. They also enjoy snow skiing trips and trips to the beach. The couple has an Australian shepherd named Tom. 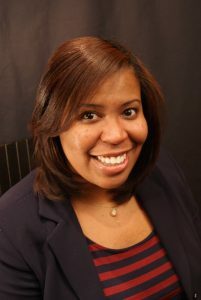 Sharon Grissom, is a doctoral student in the Patterson School of Accountancy at the University of Mississippi. 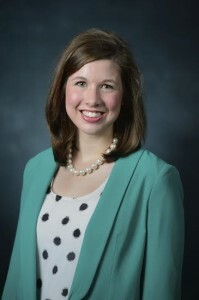 Emily K. Hornok is a doctoral student in the Patterson School of Accountancy at the University of Mississippi. She received her Bachelor of Science in Accounting from John Brown University and her Masters of Accountancy from the University of Arkansas. After graduation, Emily worked for a local accounting firm in Little Rock, AR for four years in their audit department. During her time in public accounting, Emily worked with clients in various industries including manufacturing, not-for-profit, low-income housing, and employee benefit plans. She is a licensed CPA through the state of Arkansas. 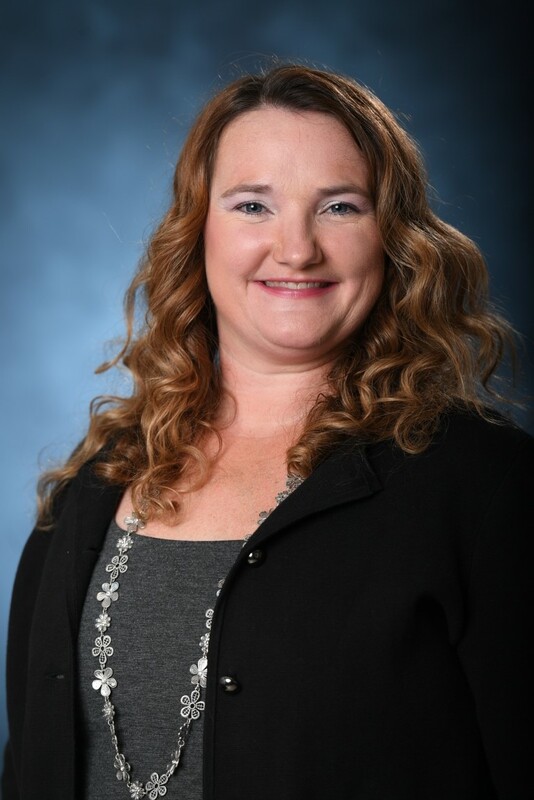 Emily has also served as an adjunct business instructor for John Brown University. Ms. Erin Johnson, CPA, is a doctoral student in the Patterson School of Accountancy at the University of Mississippi. She received her Bachelor of Business Administration in Accountancy from Delta State University and her Master of Accountancy from the University of Mississippi. 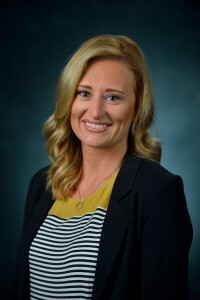 Erin worked in public accounting for two years and in corporate accounting for a private company for over four years in Nashville, TN before deciding to pursue a Ph.D.
Mr. Garrison LaDuca, CPA is a doctoral student in the Patterson School of Accountancy. He received his Bachelor of Science in Business Administration (Accounting Major) and Masters of Accountancy from Samford University in 2014 and 2015, respectively. 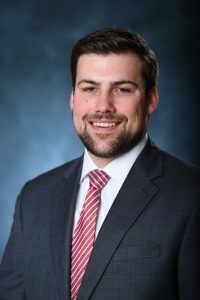 Garrison worked in public accounting with Pricewaterhouse Coopers for three years in Birmingham, AL before deciding to pursue a Ph.D.
Mr. Andrew B. “Drew” McIlwain, CPA, MBA is a doctoral student in the Patterson School of Accountancy. He received his Bachelor of Accountancy, as well as his and Masters of Business Administration, from The University of Mississippi. Drew has 12+ years of experience in both the public and private sectors providing tax and advisory services for clients across the U.S. He is a dually licensed CPA in the states of Tennessee and Mississippi. During this time he also worked as an adjunct professor, teaching Accounting Principles, for the University of Memphis before deciding to pursue his Ph.D. Together with his wife, Edi, they share four children Olivia, Beckett, Lawes, and Bette Stone. His research interests include various topics spanning the accounting and taxation disciplines. Mr. Kyle Outlaw, CPA is a doctoral student in the Patterson School of Accountancy. He received the degrees of Bachelor of Science in Accounting and Master of Business Administration at Arkansas State University 2014 and 2016, respectively. Kyle worked in the audit department of a large regional public accounting firm in Little Rock, Arkansas for two years before moving to Oxford to pursue a Ph.D. in Accountancy. Kyle is a licensed CPA through the state of Arkansas. Ms. Tina Owens, CPA is currently a doctoral student in the Patterson School of Accountancy at the University of Mississippi. She received both her Bachelor of Administration in Accountancy and her Master of Accountancy from Valdosta State University in Valdosta, GA. Tina is a licensed CPA in the state of Georgia and worked at a local public accounting firm in Georgia before deciding to pursue her Ph.D. in Accountancy at Ole Miss. LaToya Flint, CPA, CIA, is a doctoral student in the Patterson School of Accountancy. She received a Bachelor of Science in Accounting from The University of Alabama and her Master of Accountancy degree from The University of Notre Dame. LaToya had 10+ years of varied audit experience including Big 4 assurance and advisory services, internal audit, and audit talent management before deciding to pursue a Ph.D. She is a licensed CPA through the state of Alabama. She is also a Certified Internal Auditor. Her research interests involve a variety of audit topics. LaToya currently teaches a Principles of Accounting course to undergraduates at the University of Mississippi. 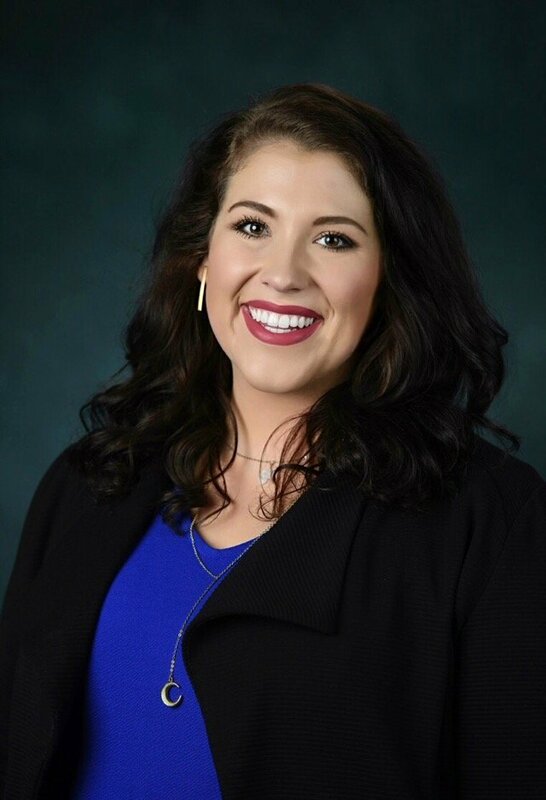 Whitney Farrell Barton is a CPA and a graduate of both the undergraduate and masters programs of the Patterson School of Accountancy at Ole Miss. She is a 2008 graduate and a 2007 Taylor Medal recipient. Upon graduation, Barton moved to Dallas/Fort Worth where she worked in public accounting for Dixon Hughes Goodman, LLP and later as a financial control analyst for Q Investments, a hedge fund. She especially enjoyed the challenging and satisfying nature of her work at Q, and left that position upon the birth of her first child. Shortly thereafter, she and her family relocated to the Los Angeles area in Southern California. A fortunate sequence of events brought Barton and her family back to the South in Summer 2015, where she learned of the opportunity to teach at Patterson. A product of the program, many of the current faculty taught and mentored her as a student and a professional in profound ways. She considers working as their colleague a high honor. Teaching is both a calling and a challenge to Barton. She holds herself to a high degree of responsibility to her students to give them the education, resources, and opportunities that she was afforded as a student at Ole Miss that enriched her personal and professional life. Barton is a native of Ripley, MS. She and her husband, Aaron, who is also a CPA, are proud to be Oxford residents. They enjoy travel and attending sporting events, particularly college football and MLB baseball. They spend most of their time away from work with their daughter, Landry, and bird dog, Decker. Dr. Jeremy B. Griffin, CPA is jointly appointed to the Patterson School of Accountancy and the Haley Barbour Center for Manufacturing Excellence (CME) at the University of Mississippi. Dr. Griffin currently teaches cost and managerial accounting. His research interests include judgment and decision making topics in auditing and corporate governance. His primary interests are auditors’ materiality decisions and the role of audit committees in the financial reporting process. His current research investigates how auditors make evaluative materiality decisions in high uncertainty settings such as fair value measurement. Dr. Griffin’s research appears in the Journal of Accounting Research, Auditing: A Journal of Practice and Theory, and Managerial Auditing. 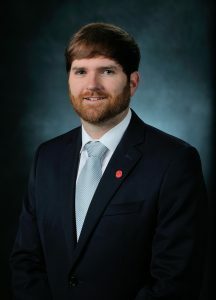 Griffin received his Ph.D. in Accounting from the University of Georgia in 2010, his Master of Science in Accountancy degree from the University of Notre Dame in 2000, and his Bachelor of Accountancy degree from the University of Mississippi in 1999. Prior to seeking his Ph.D., he held positions as a plant accounting manager with BorgWarner, Inc., and as an auditor with Deloitte & Touche, LLP. Josh Simer, CPA (TN-Inactive), is a doctoral student in the Patterson School of Accountancy. He received the degrees of Bachelor of Science in Business Administration (Accounting Major) and Master of Business Administration (Accounting Concentration) at Tennessee Technological University in 2009 and 2011, respectively. Immediately following the completion of his MBA, Josh married his wife, Sarah, and they moved to Nashville where Josh began his career in accounting practice. He worked for three years in the tax department of a local CPA firm and one year in the corporate tax department of a publicly traded company in the healthcare industry before moving to Oxford to pursue a Ph.D. His research interests include various areas of the taxation discipline. Brandi Holley, CPA is a doctoral student in the Patterson School of Accountancy at the University of Mississippi. She received her Bachelor of Arts in Art History and her Master of Taxation from the University of Mississippi. Brandi worked in public accounting in Oxford, MS and Nashville, TN for a total of seven years and in the non-profit sector for two years before deciding to pursue a Ph.D.